On the evening of July 14, 2017, the “Italian Youth Entrepreneurs Alliance Reception” was held at the HOAA International Art Design Group Headquarters in Milan. Nearly 200 youth entrepreneurship elites and entrepreneurs from all fields in Italy gathered together to share their dreams and exchange their ideas. 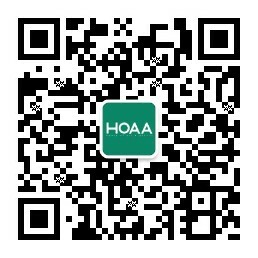 The aim of HOAA was to bring entrepreneurs in Italy more entrepreneurial opportunities through the platform and help them achieve their entrepreneurial dreams as soon as possible. 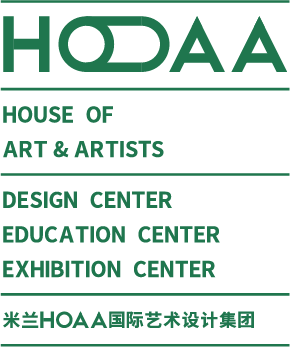 At the beginning of the reception, Liu Bo, Executive Director of “HOAA International” and founder of “Youth Entrepreneurs Association”, systematically introduced the operation scope and development direction of Milan HOAA International Art Design Group. The three major businesses include: design, exhibition and study tour. At the same time, he elaborated the original intention of founding “Youth Entrepreneurs Association” with his own start-up case, which greatly excited the guests. They wished to make most of their talents, serve the society and realize their own entrepreneurial dreams through the platform set up by “HOAA International”. At the meeting, Ding Weibin, Chairman of Italian Students' Federation and Chairman of Doctors’ Salon of Milan, introduced the Federation and the current situation and prospect of starting up business for Chinese students studying in Italy; Wu Xu, founder of Tangchao, JACK, founder of Italian Micro-Media, and several other entrepreneur representatives who started up their business successfully in Italy shared their own entrepreneurial history and experience; Tsinghua Accounting IVANO especially explained for everyone a series of tax procedure knowledge necessary for entrepreneurship. During the interaction part of the reception, the audience enthusiastically asked questions and the guests responded immediately, igniting the entrepreneurial passion once again, and enhancing everyone’s confidence in the future entrepreneurship. Tang Liang, President of “HOAA International” Group and famous pen-drawing artist and entrepreneur, said in his speech that by hosting the event, Italy HOAA International Group was to give full play to its resource advantages and establish a platform for business start-up opportunities, and develop projects on the new Silk Road together with Italian Entrepreneurs, thus forming a smooth flow of the industry, a thriving entrepreneurial chain and a humanity new landscape. At the same time, youth entrepreneurs shall calm down and think more rationally about the conditions to start up their own business. By making good choice and sticking to the goal, they shall establish the confidence to win and the perseverance of never giving up. The aim of HOAA is to bring entrepreneurs in Italy more entrepreneurial opportunities through the platform and help them achieve their entrepreneurial dreams as soon as possible.